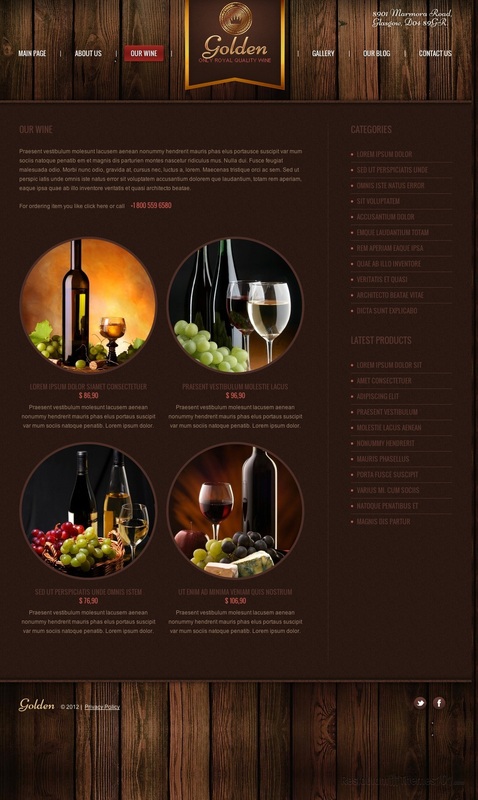 Golden is a beautiful, classy WordPress winery theme developed by Hinoriko, and featured at Template Monster. 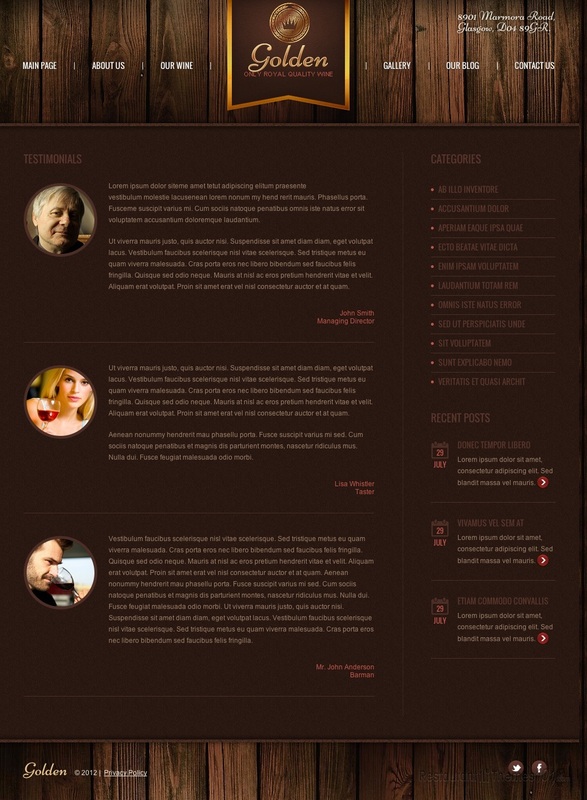 This theme features a tasteful, classy design and many great options. 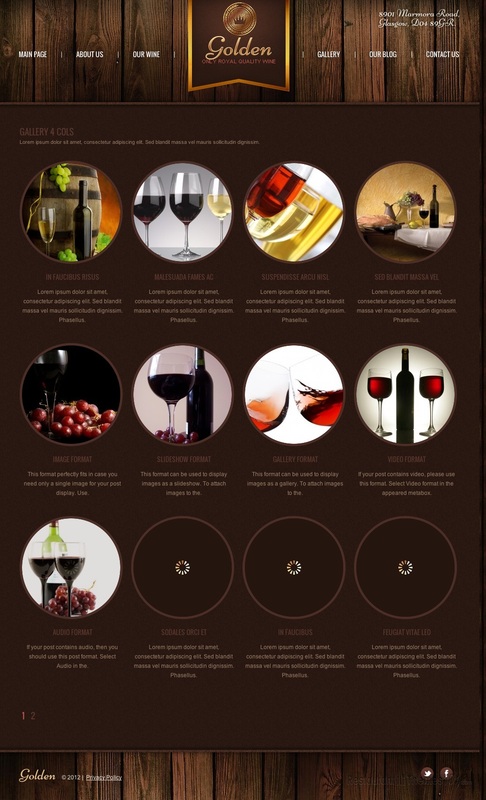 The homepage features an interesting slider, where you can feature your most important posts with nice photos of grapes and delicious wine attached. 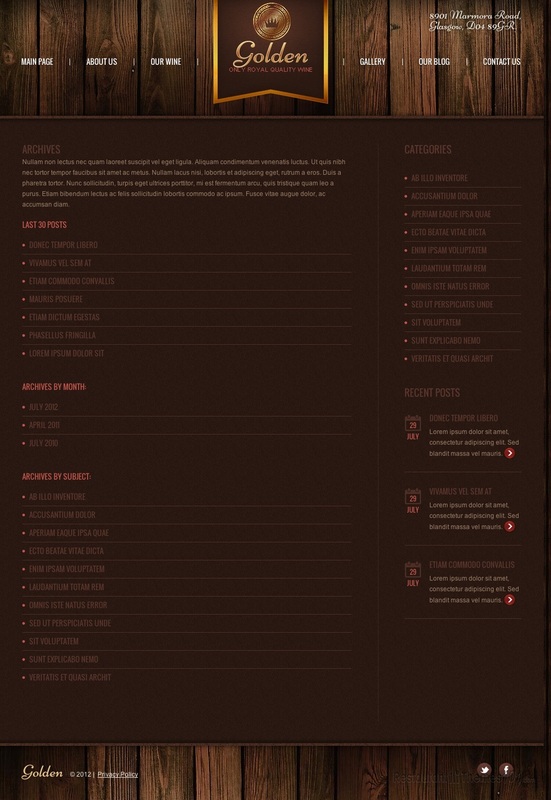 Each of these can contain teaser text and a “more” button that redirects the visitor straight to a full content page where you can go ahead and introduce any aspect of your winery in detail. Under the slider is an area for featuring your products and they will be shown in a nice, elegant way with resized photos and intro text. These posts will be linked to proper pages, and all it takes is just a little click for your visitor to get to a page where they can read all about the products that caught their eye. A nice welcoming note can be added to the homepage, and this is a beautiful way of making your visitors feel special and welcomed to your winery. Add a nice photo to your introduction text and charm your visitors with your nice words. 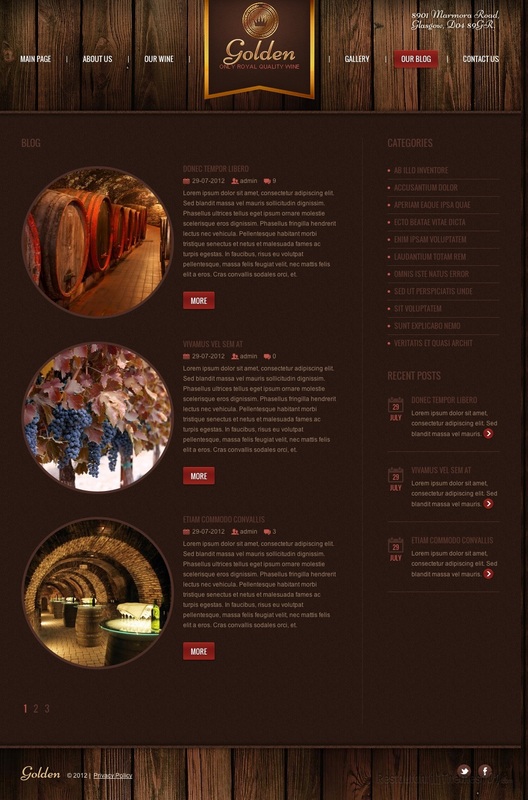 If they need more proof that your winery is special, they will be able to see testimonials from existing customers which you can place on your homepage. Nothing speaks more of a place than the people who have already visited, so you can be sure this is going to be a jackpot when it comes to advertising your winery. 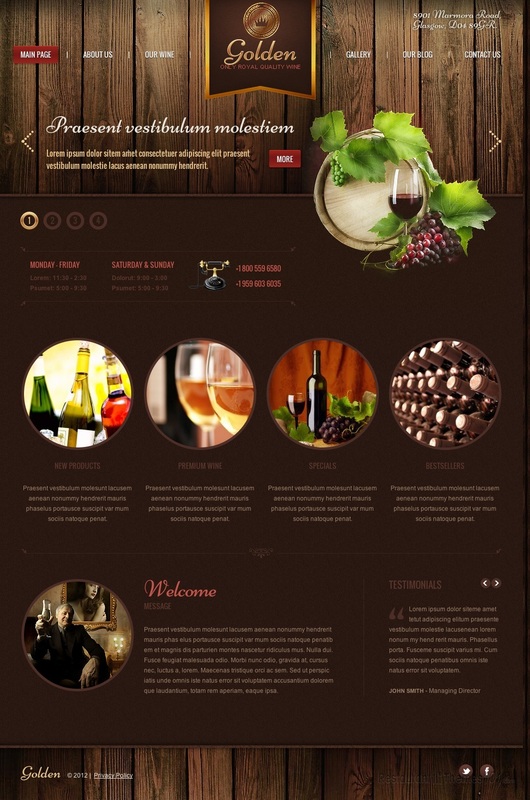 When it comes to the color scheme of this winery theme for WordPress, they were carefully chosen to create an elegant website that is very pleasant for browsing. The colors prevailing are different shades of brown with rich wood texture added to the background, and some nice, subtle patterns for the content boxes. It looks very nice and it creates a very welcoming feel to the whole layout. 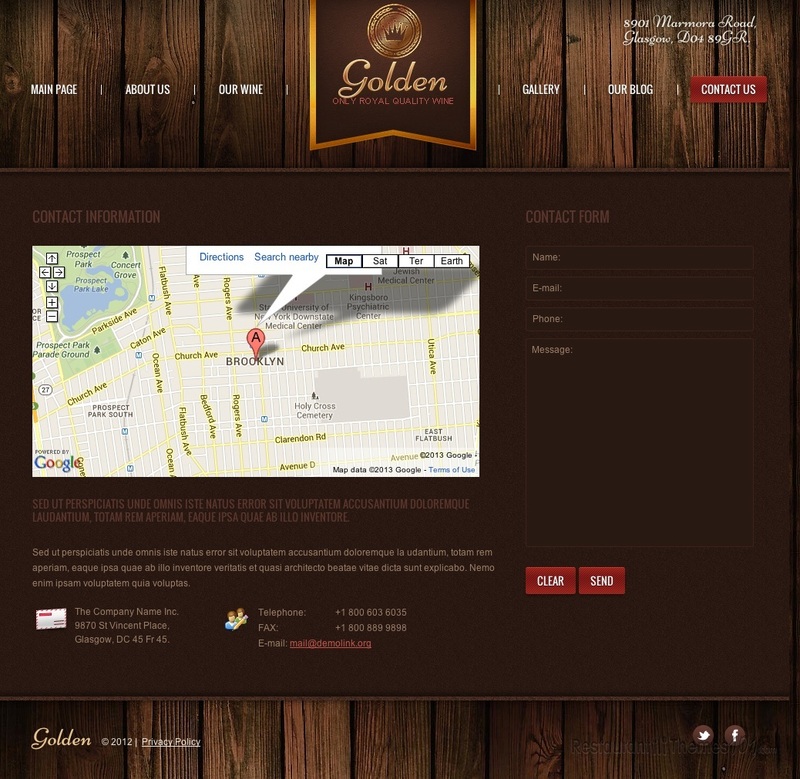 The contact area of the Golden theme reveals Google Maps integration, a nice contact form for easier interaction with your guests, and nice looking social network buttons so you can connect your website to Facebook and Twitter.